So, there’s this ‘energy bar’ that I absolutely love. I mean, I could eat one every day. Problem is, they are expensive. The other week, I was in the grocery store and I happened to look at the ingredient list on said ‘energy bar’. It said: cherries, almonds and dates. I set off around the market and picked up the ingredients. My next challenge was to figure out proportion. And you know what? After a few tries and lots of tastes, I think I’m pretty close. These little nuggets are a perfect pre-workout snack – lots of good carbs and well balanced with protein, fats and fiber. They’re also a great snack you can feel good about – no preservatives and no added sugar. All the sweetness comes from the dates. 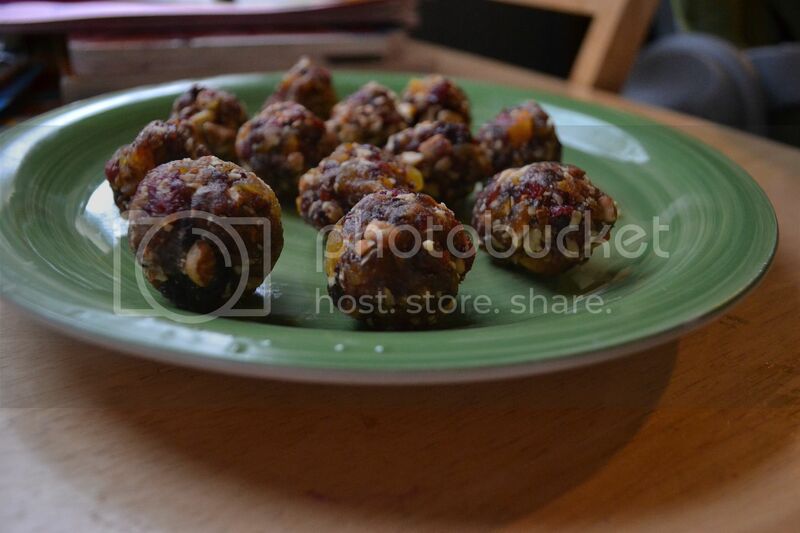 Make a few batches of these amazing cherry almond energy balls to keep in your fridge. And experiment with the recipe. I’ve also added dried apricots with great results. Spread out the almonds on a baking sheet. Toast the almonds for about ten minutes. Place the almonds, dates and cherries into a food processor. Pulse until all the ingredients are in small bits (but not completely pureed). Pour the mixture into a bowl and knead lightly with your clean hands to fully combine. sounds good, with have to add to our grocery list. How well do they store? Long term? Fridge? Freezer? Mine only lasted a few days, but the fridge worked great. I stored them in a sealed container. I would imagine they would freeze just fine, just make sure they’re tightly sealed. So glad you liked them! I need to make another batch!